Summer rolls around just once each year. Now is your chance to spend quality time with your family that you’ve been waiting for! These temporary expanses of freedom are the moments when you can take an active role in shaping who your kids are and what they like to do, outside of the classroom. A family white water rafting trip is a great way to encourage your kids to be active and get them out in nature, all while creating memories that you can treasure when they’re older, ready to leave the nest for good. 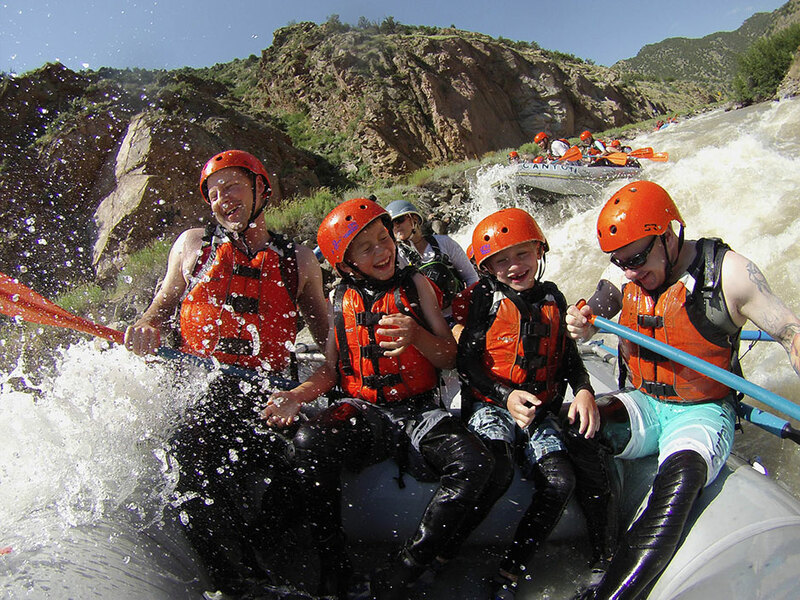 Read on to learn about the ways your kids can benefit from a thrilling family white water rafting trip this summer. What are the Benefits of White Water Rafting? White water rafting is a unique activity that can help to enrich your lives both on and off the river. Here are five benefits that you and your family will enjoy when you go white water rafting this summer. Between school, friends, and technology, it can be hard to find ways to encourage family bonding. And we all know that this closeness to parents and siblings is important, both for their current and future happiness. It teaches kids to value time spent with their family, just as they do time spent with their Nintendo Switch. It strengthens how close they are with their siblings, a relationship that can offer a lifelong friend when nurtured and encouraged. It can also help kids to look forward to family time, rather than being dragged along to events or places that don’t interest them. White water rafting is a great way to spend the day pushing your body physically, without even thinking about how much its helping your body! As you paddle through exciting rapids, your adrenaline can help you to push your body and get a quality upper-body and core workout, all while enjoying every moment. Most of us live in cities and suburbs, without much access to the magnificent beauty that nature has to offer. 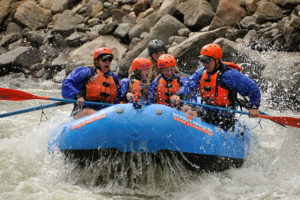 When you go on a family rafting trip with Raft Echo, you will get to experience the rugged wilderness of Colorado during your outdoor adventure. 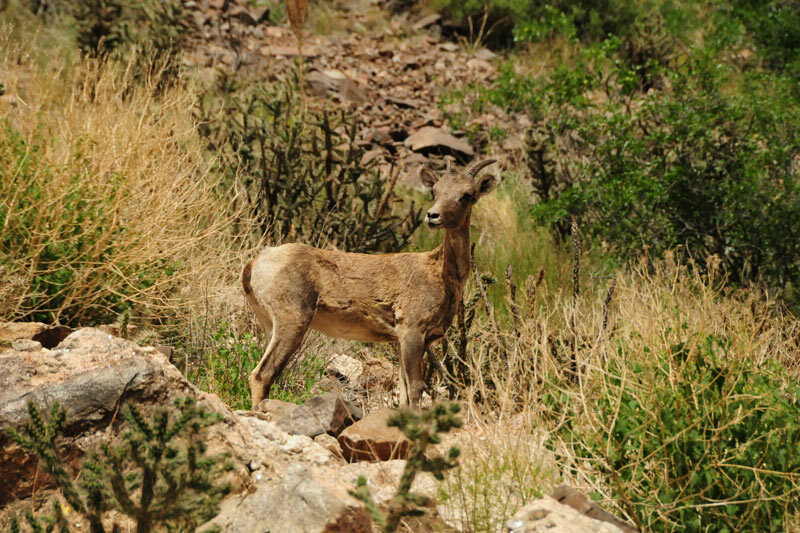 Imagine seeing mountain goats on cliff faces as your jostle your way down a pristine mountain canyon. Not only are each of these outdoor experiences calming and connecting, but they can ignite a passion in children for outdoor activities and nature. This can keep them coming back for more mountain time as they grow older. Young, old, adventurous, or more cautious, there are rafting trips that are designed for your whole family. As long as your kids are 4 or older, we can help you plan the trip just right for your family. We have beginning rafting trips that are ideal for fit thrill-seekers, and others that offer just the right combination of calm and exciting whitewater for those who want something a bit less adventurous. Benefit #5: White Water Rafting is FUN! When it comes down to it, our favorite benefit that comes from rafting is pretty simple: it’s a really good time! Soaking in the Colorado sun while floating down sections of wilderness that you can only see on the water is an exhilarating and enjoyable experience. Are You Ready to Plan Your Family Rafting Trip? White water rafting is the perfect escape for everyone in your family. If you’re ready to book your next white water rafting adventure, or if you have questions, give us a call today. We can help you create the best trip for you, where you will experience memories you will always treasure.